Search for your desired client in the search bar or your Client List. Across the client's name, click Ledger. 3. Click Select an Action to the right of the appropriate invoice. 4. 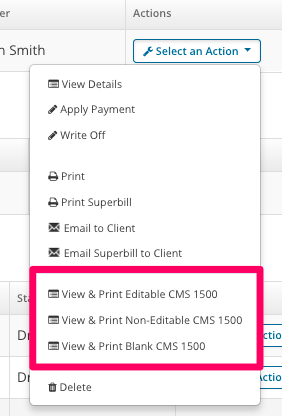 Click your desired CMS 1500 option.